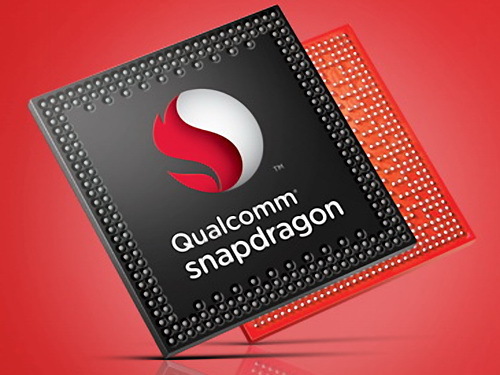 The Qualcomm Snapdragon 650 (MSM8956, former Snapdragon 618) is an ARM-based mid-range SoC for (Android based) smartphones and tablets. The chip integrates six CPU cores in two clusters. Two fast ARM Cortex-A72 cores at 1.8 GHz (max.) and four power saving ARM Cortex-A53 cores at 1.2 GHz (max.). In addition to that, the S650 includes a modern Adreno 510 graphics card, 2x 32 Bit LPDDR3-1866 memory controller (14.9 GB/s), an LTE/UMTS radio, and 802.11ac WiFi. The Cortex-A72 cores are the successor of the Cortex-A57 designs and are based on the ARMv8-ISA (64 Bit). The four slower Cortex-A53 cores are also using the ARMv8-ISA (64 Bit). Both clusters are implemented using the big.LITTLE architecture and therefore all 6 cores can in theory run in parallel to increase performance. The Snapdragon 650 supports a broad range of wireless standards. Next to WiFi 802.11ac, Bluetooth 4.1 and GPS (Qualcomm IZat Gen8C), the 650 supports a range of 2G, 3G and 4G standards like LTE Cat. 7 up to 300 MBit/s. Dedicated hardware for encoding and decoding of videos (e.g. H.265 4K30, 1080p120) is also supported by the chip. The Snapdragon 650 is manufactured at TSMC in 28nm (HPm).